1 How to remove a black spot from a laptop monitor? 2 Why do spots appear on the LCD monitor? 5 What can not be used to clean the screen from stains? During operation, various stains often appear on the monitor of a computer or laptop. They may be of different origin. On this depends on the method of cleaning the surface. How to remove a black spot from a laptop monitor? If black spots suddenly appeared on the screen, this indicates problems with the matrix. In this case, it is better to seek professional help. If this is not possible, try replacing the part yourself. Disconnect the computer from the network, remove the battery from the compartment. Unscrew the fasteners with a screwdriver, remove the frame from the screen. Most fasteners have a cap that makes them invisible to others. To remove the cap, gently pry it with a screwdriver. Remove the metal hardware by holding the computer monitor. Disconnect the connection loops. Unscrew the fasteners and remove the matrix. All actions are carried out with the utmost care not to damage the part. Take out the new matrix, immediately install it in the frame of the monitor. Connect the disconnected cables, fasten them with bolts. Reassemble the computer in the reverse order. Why do spots appear on the LCD monitor? Air entering the matrix during transport. Water entering the monitor. 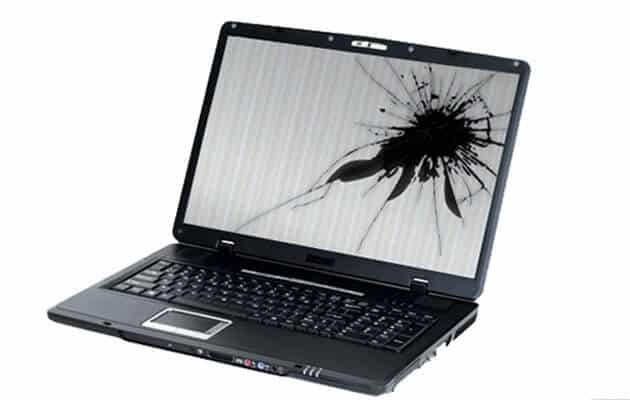 This usually occurs as a result of improper cleaning of the screen from contamination. Stratification of the matrix as a result of exposure to high temperature or mechanical stress. Attention! It should be noted that after the appearance of the spot can change its size and shape, "move" on the screen. In order to prevent this type of breakage, it is necessary to carefully handle the equipment, use the correct means to clean the monitor. Moisten a napkin. It should be wet, but water should not flow from it. Wipe contaminated surface. Apply detergent to a damp cloth and distribute it evenly. Wipe the monitor. In the process, foam will appear on the surface of the screen. That it actively dissolves fat and other contaminants. Dampen a napkin in clean water, squeeze as much as possible, remove the pulping foam. If contamination persists, repeat the procedure again. Barely damp cloth wipe the screen. An important point! It is necessary to use the simplest detergent, since the composition of expensive options includes various emollients that will leave even more dirt on the surface. Instead of water, you can take 3% acetic acid for cleaning. It will easily and quickly clean the surface from any contamination. After the procedure, the monitor is wiped with a dry cloth or rag. To get rid of the dust will help ordinary cellophane. It is better to use cling film because it is as soft and thin as possible. Before cleaning, the computer must be turned off and give him some time to cool down. Old grease stains well removes the solution of baby soap. Do not use glass cleaner to clean. They corrode the upper protective coating of the screen. Do not try to get rid of dirt with a felt scouring pad, blade or knife. At best, there will be scratches on the screen, at worst, it will break. The glossy surface should be handled very carefully. But the matte can be wiped with a more damp cloth. What can not be used to clean the screen from stains? On sale there are napkins soaked with cleaning agent. It is enough to moisten them with water and wipe the surface. Napkins soaked in alcohol will not work. They will do more harm than good. There are special wipes for the care of the monitor, which can be purchased at the office equipment store. Do not open the washing machine door? The problem is solved! Of course, it is better to buy special liquids to clean the monitor; they can even clean DVDs, thanks to the special technical composition. But in the absence of anything suitable, I can advise and especially the male method: Cologne, perfume or eau de toilette, call it what you like. The composition usually has alcohol, so it is perfect for cleaning surfaces. But only later will persistent smell, it may not be to everyone's liking .. I would also like to know where the fat spots appear on the screen, even if I never touched the monitor with my hands and moreover nothing spattered it! Here is a livehack, so that there is nothing with the display, put something like glass in front of it! Turn off the monitor from the network and wipe with a damp sponge! After it dries, wipe with a dry cloth!